Even though you are on vacation clothes get dirty. If you would like, these condominiums either have a washer and dryer in them or easily accessible in the condominium community they are apart of - usually coin operated. The Gulf of Mexico and White Sandy Beaches Right Out Your Back Door! Enjoy a piece of paradise at Bahia Mar Condominium Community, Unit 175, your home away from home. You will love the newly restored resort with a Beachfront Sun Deck, Direct Ocean Access, 2 Gorgeous Swimming Pools, Hot Tubs, BBQ's, Playground for the Kids, Tennis Courts and Coin Operated Laundry. Come play with us on South Padre Island! This is what a Dream Beach Vacation looks like, the only thing missing is you! 2 Bed/2 Bath, Sleeps 8Enjoy a piece of paradise at Saida IV Unit 803, your home away from home. Enjoy the breathtaking views of the Gulf of Mexico from the oceanfront furnished balcony or from inside with the comforts of the living and master bedrooms. Small, well behaved, non-shedding dogs are welcome This is the perfect condo to create unforgettable memories with family and friends as you experience South Padre Island. You will love your time in paradise! Luxurious Beachfront Condo, Spectacular Ocean Views, 2 Bed/2 Bath, Washer & Dryer, Sleeps 8Walk into luxury as soon as you step into Saida IV 503. The fabulous master suite and living room gives you floor to ceiling views of the spectacular Gulf of Mexico. You will love vacationing in this beachfront beauty as you create unforgettable memories with your family and friends while you experience South Padre Island. Don't miss out, make a reservation today! Saida 4304 is the condo you have been looking for! We understand wanting to be on vacation while still having all of the comforts of home. For this purpose, we have included a washer and dryer in the condo. You can also view an unforgettable sunrise from the comfort of the living room and master bedroom windows.This condo is located on the 4th floor and includes a private balcony with plenty of outdoor seating. Relax while feeling the gentle island breeze and even dine alfresco. We know you will love Saida 4304. Ground Floor Condo in Great Location, The Only Thing Missing is You! Enjoy your stay on South Padre Island in luxury at Retama Landing 4. 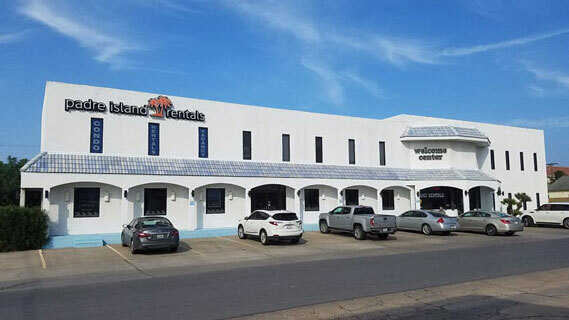 Located in a great location, ½ a block walk from South Padre Island’s white sandy beaches and a short walk from Padre Blvd. Has a communal fenced backyard offering a private oasis, with a tranquil swimming pool and poolside furniture. Come play with us on South Padre Island! You’ll Feel Pampered in this Cozy Oceanfront Condo with a Private Terrace, Hot Tub and Spectacular Ocean Views!! Enter a state of relaxation the moment you step into Florence ll, Unit 502, this inviting beachfront condo offers guests incredible ocean views of the Gulf of Mexico, private direct ocean access to the soft sandy beach, a dazzling beachfront swimming pool & spa, and is assigned an indoor covered parking spot. You’ll love your time in paradise at Florence ll Condominium Community, with all the comforts of home you won’t want to leave. Oceanfront, Gorgeous Ocean Views, 2 Bedrooms, 2 Bathrooms, Sleeps 8, Small Dog Friendly, Washer & DryerIf your idea of paradise is tropical and festive, this is the right condo for you! Saida IV Unit 703, has recently been updated with new paint, wall hangings and a spectacularly new kitchen. Condo offers you gorgeous views of the glittering Gulf of Mexico from the furnished balcony or the comforts of the living and master bedrooms. The perfect place to create unforgettable memories with family and friends as you experience South Padre Island. The Saida Condominium Community offers a variety of amenities to enhance your relaxing getaway: Seasonal Activity Center, 4 Tennis Courts, Shuffleboard, 3 Beachfront Swimming Pools & Spas, Private Direct Ocean Access. The only thing missing in paradise is you!! Oceanfront, Exquisite Ocean Views, 3 Bedrooms, 2 Bathrooms, Sleeps 10, Pet Friendly, Washer & Dryer in UnitEnjoy a piece of paradise at Saida IV Unit 902, your home away from home. A luxurious, cozy condo is perfect for creating unforgettable memories with your family and friends as you experience South Padre Island. Enjoy breathtaking views over the Gulf of Mexico and the Laguna Madre Bay. Ideal for larger groups.